The global heel pressure injury relieving devices market is gaining traction owing to the growing population suffering from terminal illness. Pressure injury basically damages the skin and the soft tissue underlying the skin. Such injury appears either in the form of open ulcer or intact skin. Pressure injury occurs specifically in the heel area is called as heel pressure injury. For preventing such injury in the heel area, a few devices are used for keeping heel out of the surface. These devices are known as heel pressure injury relieving devices. A report on the global heel pressure injury relieving devices market to be added to the vast repository of Transparency Market Research pulls out every stop to present in-depth information on it. The report would enable key stakeholders in the global heel pressure injury relieving devices market to gain proper insight into the growth drivers and headwinds. This report would provide an objective on the competitive landscape and dissect each product, application, and regional segment to understand which ones hold out solid promise. The heel pressure injury relieving devices help patients in relieving from the pressure which could result in skin breakdown. Heel pressure-relieving devices can be found in the form of mattresses, specialized beds, dressing and foams, and bandages. Growing population suffering from heel pressure ulcers, rising demand for pressure-relieving devices from elderly population, and increasing healthcare infrastructures globally are believed to be driving the global heel pressure injury relieving devices market. Heel pressure treatment needs keen attention and specific care based on the patients’ conditions. Rising incidences of pressure ulcer, growing population suffering from decreased mobility due to heel pressure injury, and increasing number of hospital admissions for the effective treatment of chronic illness such as lower consciousness, immobilization, and edema, and growing patients’ susceptibility in developing pressure ulcer is also expected to fuel the demand in the global heel pressure injury relieving devices market. However, lack of skilled professionals, high costs of medically and technologically advanced pressure-relieving devices may hinder the growth in the global heel pressure injury relieving devices market. Nonetheless, such deterrents may not impact the momentum expected in the global heel pressure injury relieving devices market in the near term. At present, maximum demand is coming from the aging population. Growing aging population suffering from chronic illness with restricted mobility is fueling demand in the global heel pressure injury relieving devices market. Apart from this, increasing competition among multiple pressure injury relieving devices manufacturers, rapid technological advancements, and growing number of new product launch are also expected to boost the global heel pressure injury relieving devices market. 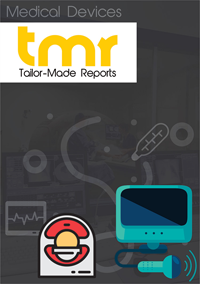 Geographically, North America is expected to lead the global heel pressure injury relieving devices market as the region has seen rapid establishment of various manufacturers. Growing e-commerce platforms, rising hospitals and healthcare infrastructure, and burgeoning population could also be responsible for fueling the global heel pressure injury relieving devices market in this region. Some of the prominent players operating in the global heel pressure injury relieving devices market are Hill-Rom Services, Pelican Manufacturing, EHOB, Invacare Corporation, and Stryker, and Bort GmbH.